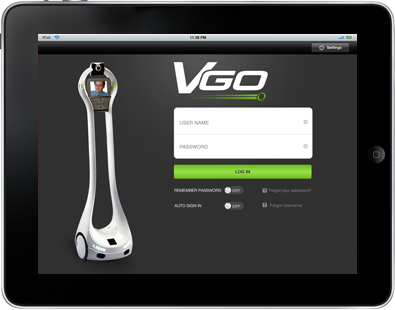 VGO Robotic Telepresence - Astegic Inc.
VGo is a productivity improvement solution that enables a person to replicate himself in a remote location and have the freedom to move around as if he/she were physically there. 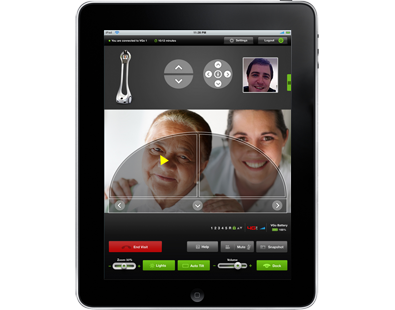 It enables users to see, hear, talk, interact, and go anywhere. 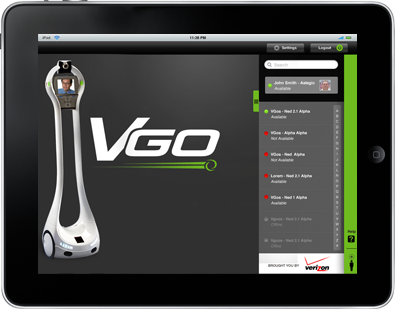 With VGo, the user is completely independent of the people in a distant location – it’s 100% remote controlled. 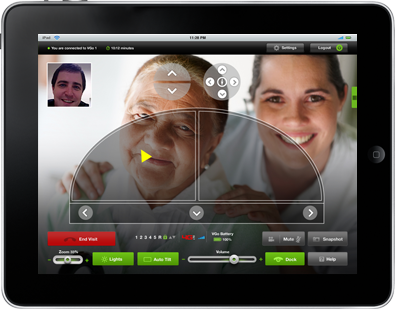 For instance, a user in New York, can visit the desk of a colleague in San Jose or a doctor in San Antonio can relieve the staffing shortage for a hospital in Chicago.